Description: Ruger 90365 Trim Pro-2 Manual Case Trimmer without Pilots The popular Trim Pro case trimmer has been improved with the addition of a spring-loaded universal shell holder. 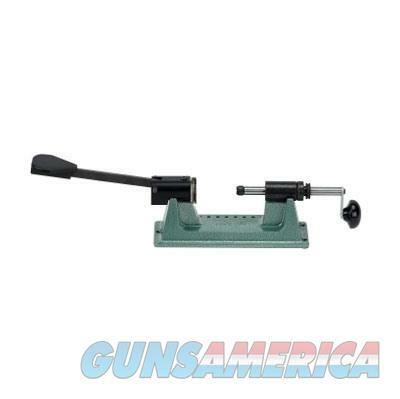 The spring loaded shell holder securely locks the case in alignment with the cutter. The trimmer is designed for .001" accuracy. Course and fine trim length adjustments. Fine adjustment bushing features .001" micrometer markings. The spring-loaded shell holder will accommodate case head diameters from .250" to .625 rims. Case fit is from the 5.7x28mm to the long range .338 Lapua Magnum.